Build a deck in your backyard with free deck plans. A hardwood deck coming out from a back door with spreading steps down to the yard. This section provides you with all the information you'll need and a step-by-step guide that will help you successfully build a deck. 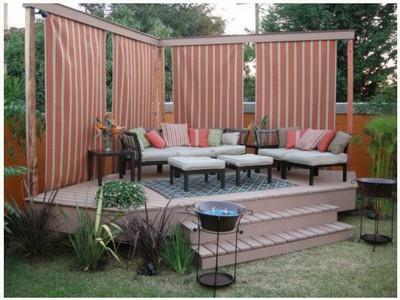 Add a great new space to entertain or just kick back in the sun with this environmentally friendly deck. 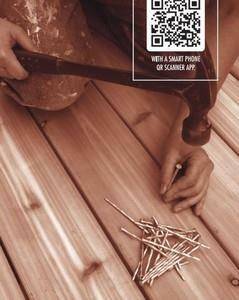 Although building a deck may not be the easiest project, it will give you years of enjoyment making it all worthwhile. Dress up your deck and add security with a self-closing gate.